As August Deimel mentioned last week, there is precious little diversity in New York’s wine cellars. Head winemakers across the state tend to be white and they tend to men. 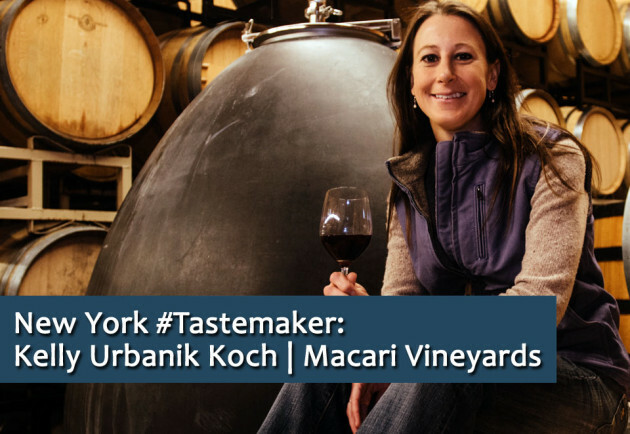 I won’t pretend to know how to change that, but I guess you could say that Kelly Urbanik Koch, winemaker at Macari Vineyards, is doing her part by making some of the North Fork’s best wines. She truly leads by example and the wines at Macari have never been better. And they continue to get better. Through thoughtful experimentation, Kelly is exploring the vineyard’s terroir in new and exciting ways. 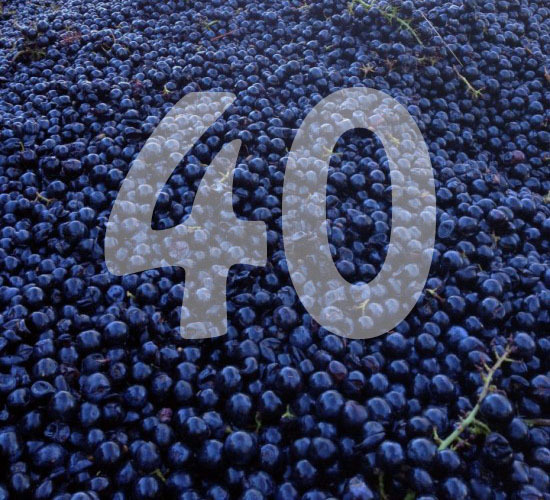 Get to know just a little bit about a great winemaker who is making some of my favorite wines right now. Wine of the moment: Red Tail Ridge 2014 Riesling Petillant Naturel. I love Nancy’s wines and look up to her a lot. My winemaking style in 1-5 words: Balance, texture, freshness, delicious. First bottle of wine I remember drinking: The first wines I remember drinking were the homemade wines that my dad and grandpa made together. My grandpa had a small vineyard in St. Helena, CA and our whole family helped to make the wine and take care of the vineyard. It was so much fun we didn’t realize that it was work! How I got here: I was born and raised in Napa Valley, but moved to Long Island to explore making wine in a different region. I have been working on Long Island for 10 years now, and 6 of those years have been with the Macari family. It has been incredibly rewarding to work with this family and the fruit from their farm. My winemaking style — in more words: Exploratory while still keeping true to the grape and the terroir. My goal is always to make wines which are balanced, delicious, and reflective of the vineyard. The Macari vineyard is a very unique and magical place with an immense amount of diversity and energy. My goal is to capture the essence of that beauty and life in the wines. 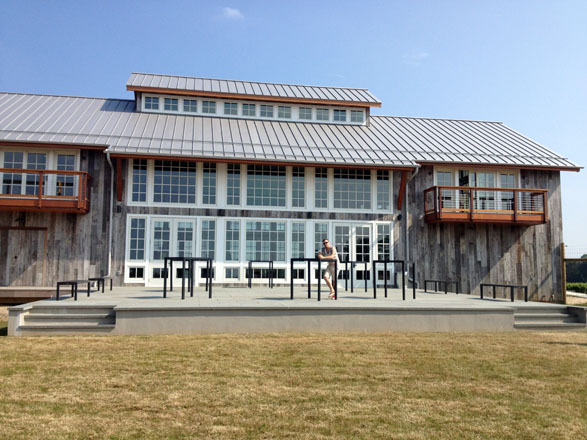 Mentors: Kip Bedell, founder of Bedell Cellars. 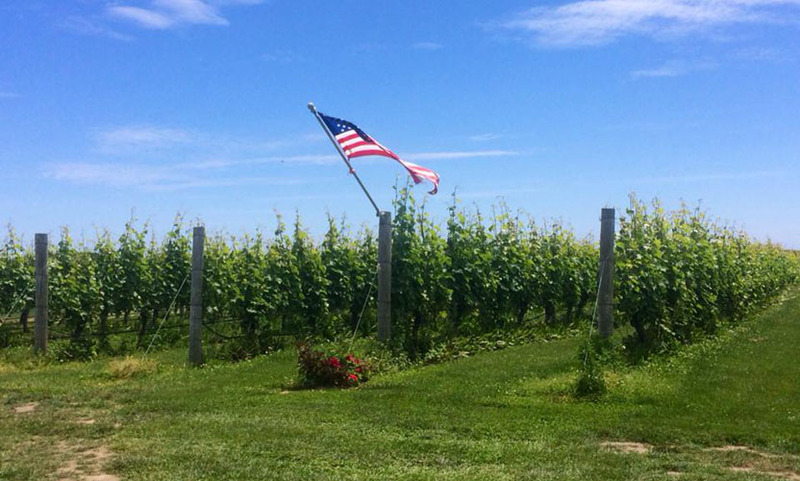 Favorite thing about the Long Island wine industry: Long Island Wine Country is a young, up-and-coming region with a rich history behind it and a bright future ahead. I am very excited for the opportunity to make wine in this region during such a pivotal time of growth, development and experimentation. Least favorite thing about the Long Island wine industry: New York is far away from my family! One surprising thing that I’m really good at: I have played the piano since I was six years old. What I drink: Belgian-style beers and hard cider. I also am a tea fanatic. My “Desert Island Meal” — wine included: My grandpa’s risotto Milanese, my grandma’s pierogis and a wide selection of wines made by my winemaking friends around the world.